Cape Town - The Bold and the Beautiful has had its fair share of villains and heroes over the years. We take a look at the stars behind some of the show’s most iconic characters. 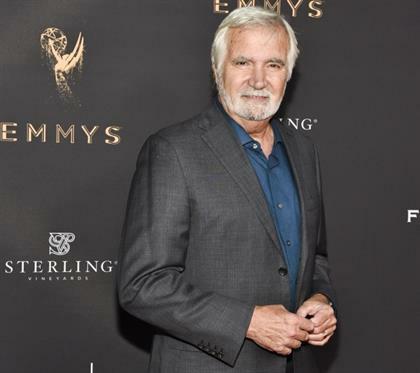 Eric Forrester, the patriarch of the Forrester fashion dynasty and co-founder of Forrester Creations, is played by John McCook (74). John is one of only two original cast members left since the show’s inception in 1987, reports Soap Central – so he’s been “Eric” for a whopping 32 years! When he’s not ruling a fashion empire on daytime TV, John spends time with his wife, Laurette Spang-McCook (67), in their Los Angeles home. The couple have three children, Jake (38), Rebecca (36) and Molly (29). John has another son, Seth (47), ex-wife Juliet Prowse, who died in 1996. Brooke Logan must be our favourite anti-heroine. Brooke – who’s been played by Katherine Kelly Lang (57) since the show’s debut – never seems to catch a break in the romance department. She’s walked down the aisle more than any other soap character – an incredible eight times in the show’s three decades. Katherine is quite the athlete, having completed three IronMan races, CBS reports. The soap star has three children – Jeremy (28), Julian (26), and Zoe Katrina (21) – from two marriages. She’s been in a committed relationship with Dominique Zoida (42), who’s also her manager, since 2013. 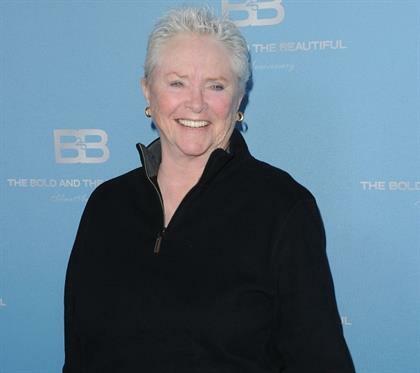 Susan Flannery (79) may no longer be on The Bold and the Beautiful but we’ll never forget Forrester matriarch Stephanie Forrester. Eric’s (later ex-)wife Stephanie’s feuds with Brooke were the stuff of legends. The Emmy-award winning actress left the show in 2012 when Stephanie’s character died of lung cancer, Soap Hub reports. Susan, who’s never wed, has a daughter, Blaise Flannery (32), whom she adopted in 1987. Apart from acting, she’s also a director, licensed pilot and gourmet cook. Ronn Moss (66) is the original Ridge Forrester, son of Stephanie Forrester and (we later learned) Massimo Marone. Ridge is most famous for his love triangle with Taylor and Brooke. 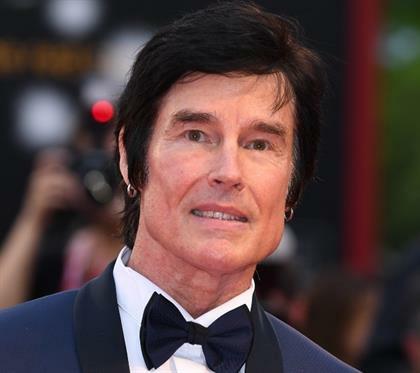 Ronn, who left the show in 2012 allegedly due to salary issues, is a father to two daughters, Caleb (20) and Creason (24), from his first marriage to actress Shari Shattuck (58). Seven years after his marriage to Shari ended in 2002, he married model and actress Devin DeVasquez (55) in 2009. Ridge is currently portrayed by Thorsten Kaye (52), who joined the show in 2013, Soap Opera Digest reports. Ah, the beautiful Dr Taylor Hayes . . . Hunter Tylo (56) portrays Taylor on the popular soap and is best known for her relationship with Ridge Forrester – and her rivalry with Brooke. Taylor was introduced to the soap in 1990 but the character was killed off in 2002. Hunter made a surprise return to the soap in April last year, to the surprise of many Bold fans, CBS reports. The actress has been married three times and has four children – Christopher (38), Izabella (22), Katya (21) and Michael. Her son, Michael, died tragically in a drowning accident in 2007 and in 1998, her daughter Katya was diagnosed with a rare cancer of the eye called retinoblastoma, which she survived.